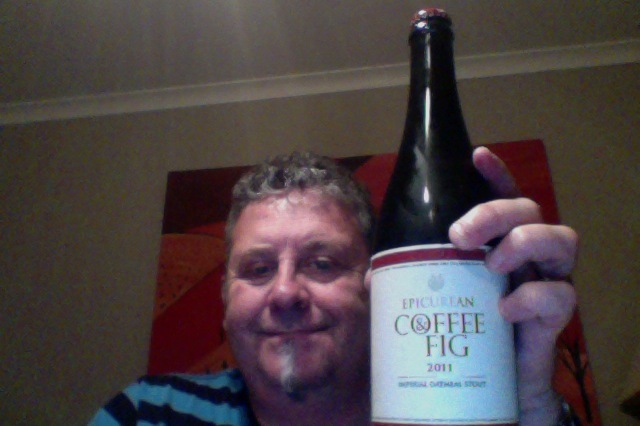 Well, the Epic Epicurean Coffee & Fig Oatmeal Stout was another beer that was recommend to me to try. It pours really dark, like a really good stout should, and has an aroma of citrus, and coffee and chocolate, so I thought. The taste is amazing! Big on coffee, sweet caramel malts, Chocolate, it has them all, in aces! It somewhat surprising to have the aroma that follows the taste. Not what I was expecting and I might add completely welcome, thank you very much. I’ve nothing bad to say about this, the head dies away but leaves a nice lacing in the glass, The aroma is still there and the taste is, well, tasty. This entry was posted on July 6, 2012 by Philip Walter in Beer, Beer of New Zealand, Epic, Imperial Stout, Justsaying and tagged Alcohol by volume, caramel malts, Epic Brewing Company, Epic Coffee and Fig, Oatmeal Stout, Steam Brewing Company.